Set in modern-day Cairo, this magical thriller follows four humans and a genie as they navigate the citys streets and spiritual underworld to find a stolen hooka sought by a vengeful gangster-magician. This original fable is written by journalist G. Willow Wilson and illustrated by Turkish artist M.K. Perker. 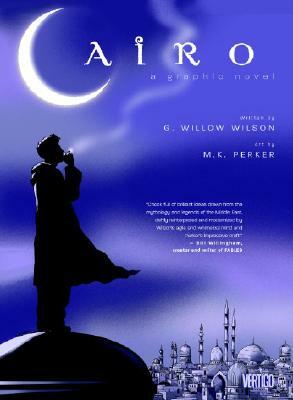 G. Willow Wilson is a Cairo-based author and journalist. Her articles about modern Islam and the Middle East have appeared in publications such as "The Atlantic Monthly," "The New York Times Magazine" and "The Canada National Post." Wilson studied History and Arabic at Boston University, and has done archival work at the John F. Kennedy Presidential Library.